Our kegs are made of 304 grade stainless steel with the highest quality welds and standards in our ISO 9001 certified factory. The kegs are made to withstand the physical abuse of distribution as well as the constant use of pouring beer. Please refer to the spec sheet below for some of the highlights. The beads and chimes at the top and bottom of the kegs provide maximum protection against heavy impact and the potential for buckling. Secure handling of kegs is easy and convenient with the hand holes. The rolling rings provide additional strength to the body of the keg. Advanced welding technology ensures smooth and consistent welds. The smooth interior surface lends itself to easy cleaning and promotes resistance to sources that might infect or contaminate the liquid contents. 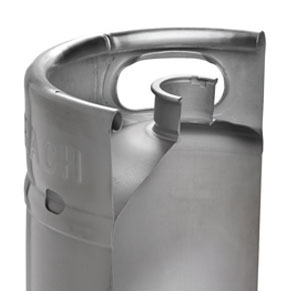 The keg necks are built to withstand impact and are engineered to have long lasting fit for inserted keg valves. Embossed company name, keg serial/tracking numbers, and other identification methods are available as add on options. Bar coding may be added in lieu of or in addition to embossed keg tracking numbers. 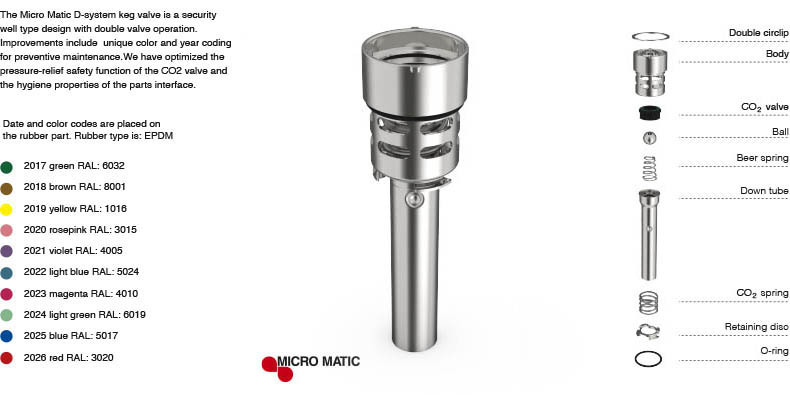 Non-corrosive 304 stainless steel is used in all of our keg products to ensure non-corrosive and high quality packing and transportation of beer and liquids.